After three months, I'm here again to hoard children's books. 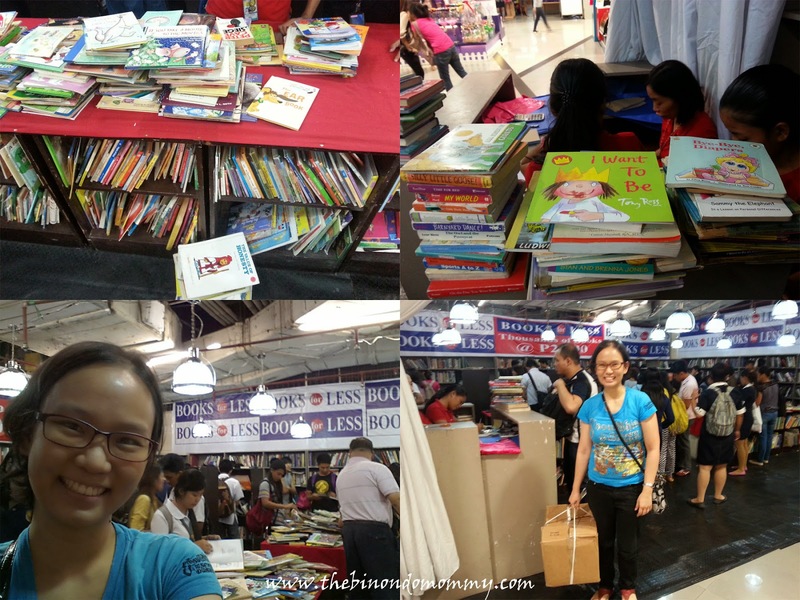 Last time, Books for Less Warehouse Sale was held at their warehouse in Pasig and was offering much more books and at a cheaper flat rate price of P10.00. This time, they are holding it inside SM Manila, smaller area and at a little bit higher flat rate price of P20.00 on each book regardless of size. But it doesn't matter because SM Manila is just a ride away from our place and 20 pesos is still cheap because most of the second-hand books from Books for Less are priced at P50, P89, P99 and so on. And so, book hunting mode is on! The Books for Less Warehouse Sale in SM Manila is located at the second floor, by the National Bookstore or City Hall side entrance, beside Great Image. Let me entice you with some of the photos I took last Nov. 19, 2014 (Wednesday). 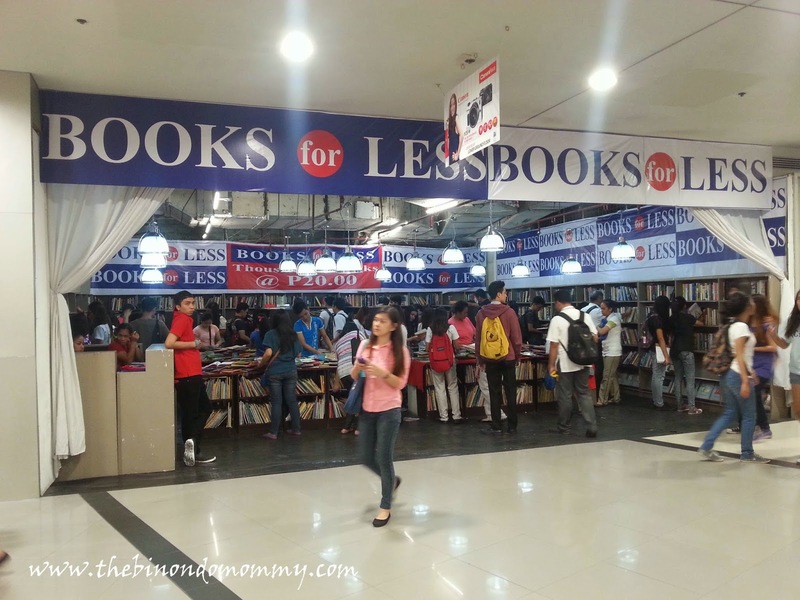 This is the whole area of Books for Less Warehouse Sale in SM Manila second floor. Upon entering, I scanned the whole place and was so excited at the sight of thousands of books that I don't know where to start. And so I began digging the shelves one by one, book by book in search for classic children's book titles. At the back shelves, you can find mostly reference books, self-help books and others that are suitable for adult readers. And because the shelves were very disorderly, I thought that it would be difficult to go through each title. So I just decided to pile up and set aside those books that I am not interested in, just like what I did on the upper left picture below. As if I'm arranging their books but in fact I just wanted to make sure that no books were left unseen. From there, I was able to find very good titles that my pile of chosen books which I placed on the floor were already blocking the way. Good thing, one of the staffs offered to place my reserved books inside a box. After spending almost five hours (3pm to 8pm), I finally decided to stop and asked help to bring my box to the cashier to review my book stash. I was able to remove some and settled at a total of 55 books at P20 each, amounting to P1,100. They didn't accept credit cards, luckily I was able to bring just enough cash to pay for my book haul. They packed all my books in one box and asked help again from one of their staffs to help me carry it all the way to the jeepney. 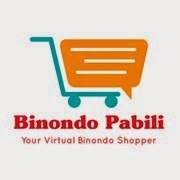 I was supposed to take a cab but the driver wanted to ask for an additional upon knowing that my destination is in Binondo. So I just took a jeepney ride home. You can just imagine how I was able to bring them home. All for the love of books for my dear Baby A. And now, let me show you all the books that I bought. I was so thrilled to find the book "My World" by Margaret Wise Brown which I only learned from one of our favorite books "Goodnight Moon". 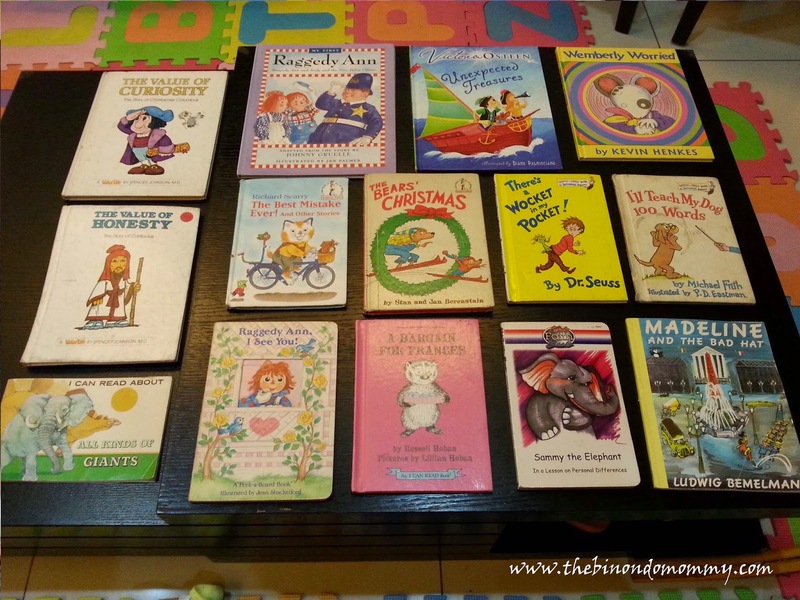 Most of the books in the first picture below are board books. Oh and one more good find is the "We Wish You a Merry Christmas" book coz the music is still working! It's a musical book, jackpot! On the second picture, my good find is "The Snowy Day" by Ezra Jack Keats which is on the list of BFIAR. I heard Stellaluna is also a famous book. The "At The Beach" book teaches Chinese characters. Obviously, Dr. Seuss books are part of my good finds and I got three of them. 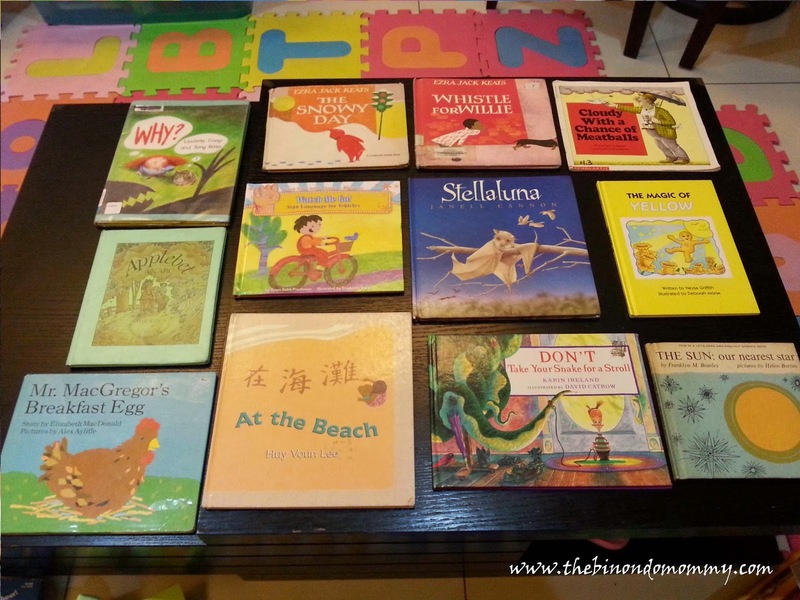 Lastly, some of the books on the fourth picture are not for children anymore. I bought them anyway coz I find them interesting. As I was taking pictures of my book haul, Baby A can't wait and have already started flipping the pages of some of the books. I'm thankful that she has somehow found an interest in learning through reading, with all the books I have hunted down for her ever since she was two months old. 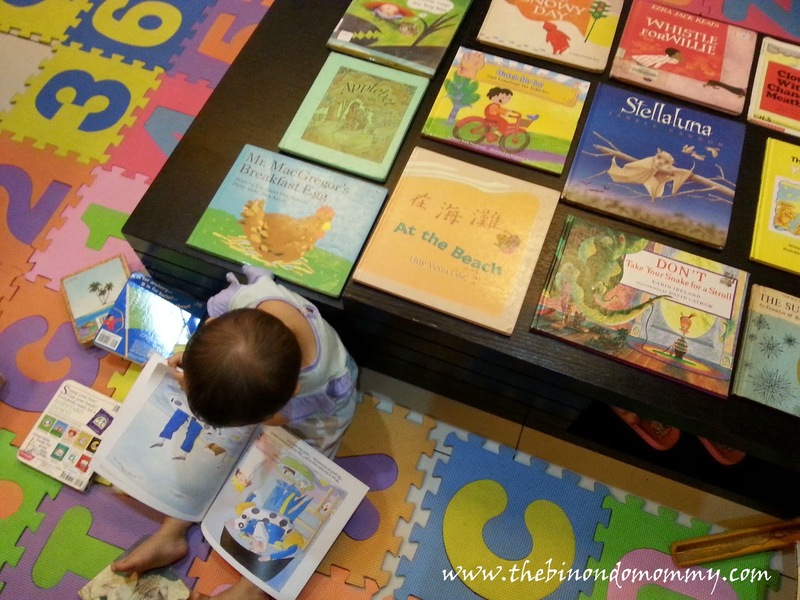 It really has a great effect in increasing her vocabulary, memorization and analytic skills, language development and overall love for learning. 1. 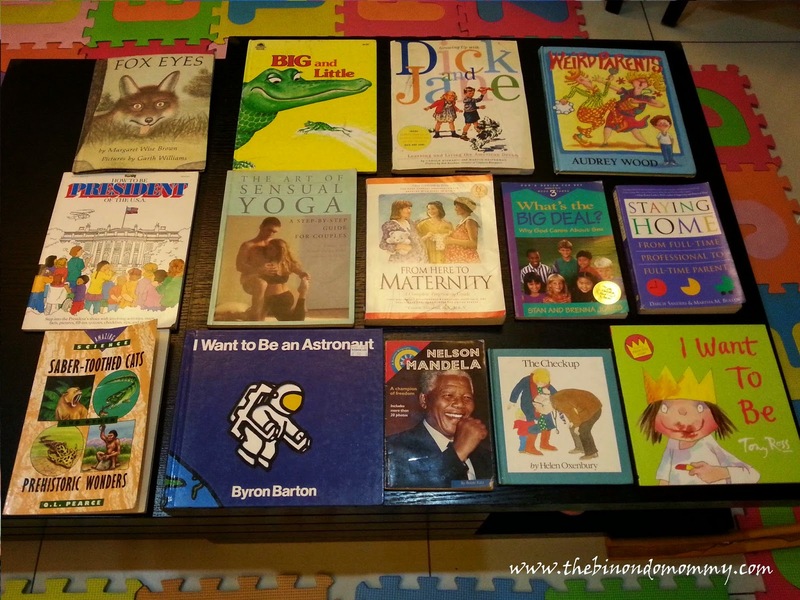 Reachable - Place your books within baby's reach. 2. 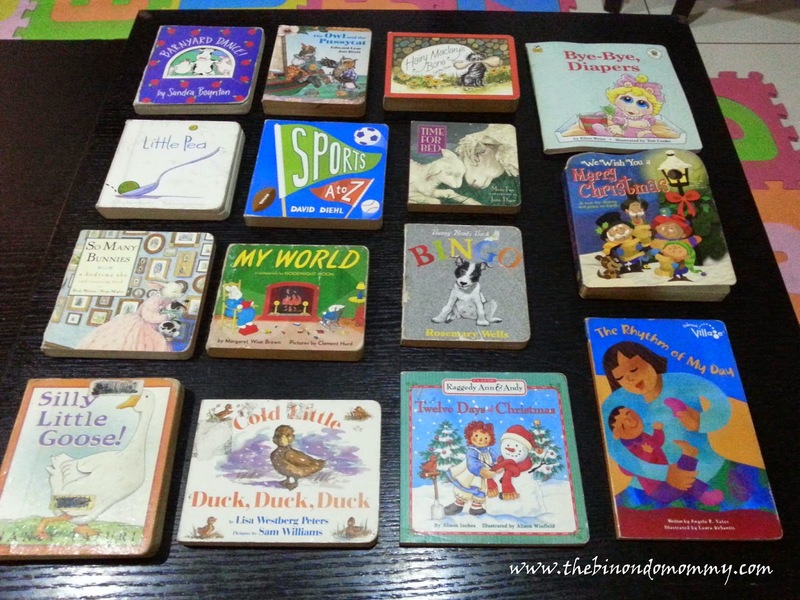 Rhyming - Start with board books that have lots of pictures with short rhyming words. 3. Repetition - Read the same book at least once everyday and observe if your baby is showing some progress. 4. Review - Try reading a line and leave the last (or your choice of) word blank and hear your baby respond. Baby A at 23 months. There, thank you for reading my post about my book hunting adventures. 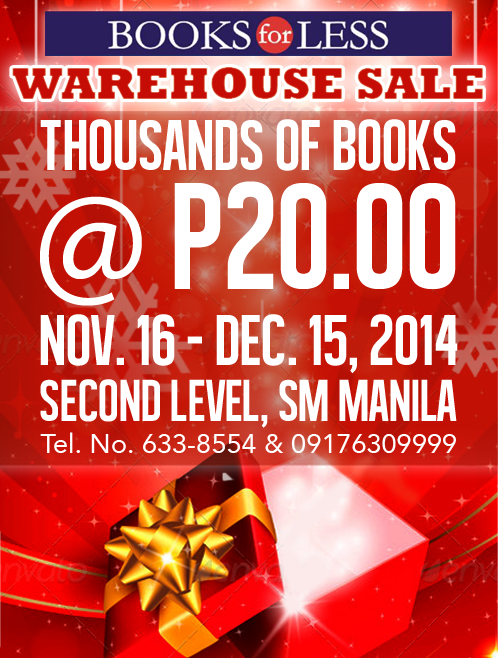 Hope you enjoyed and would make time to visit Books for Less Warehouse Sale in SM Manila. It's only until Dec. 15, 2014 so hurry and don't miss out this great opportunity! Just take the LRT1 and alight at Central Terminal station and walk for 5-10 minutes and you'll reach SM Manila. It's near Manila City Hall. Let me greet you an advance Merry Christmas! Great finds!! I usually spend 1k and come out with just a book or two at the bookstore!